Naomi Kawase is a Japanese film director known for her documentaries, Embracing and Katatsumori. Many of her early works were inspired by her childhood in the rural region of Nara. In 1989, she graduated from the Osaka School of Photography to study television production and stayed as a lecturer for four additional years before completing her first project, Embracing. She became the youngest winner of the la Caméra d'Or (Best New Director) award at the 1997 Cannes Film Festival for her first film, Suzaku. Her 40-minute documentary about life with her ailing great-aunt, Tarachime, was released in 2006. Kawase completed her fourth full-length film The Mourning Forest in 2007, which went on to win the Grand Prix at the 2007 Cannes Film Festival. Four years later, Hanezu premiered In Competition at the 2011 Cannes Film Festival. In 2013, she was selected as a member of the main competition jury at the 2013 Cannes Film Festival. She then completed Still the Water and Sweet Bean both of which were screened at Cannes Film Festivals. In April 2016, she was announced as the President of the Jury for the Cinéfondation and short films section of the 2016 Cannes Film Festival. 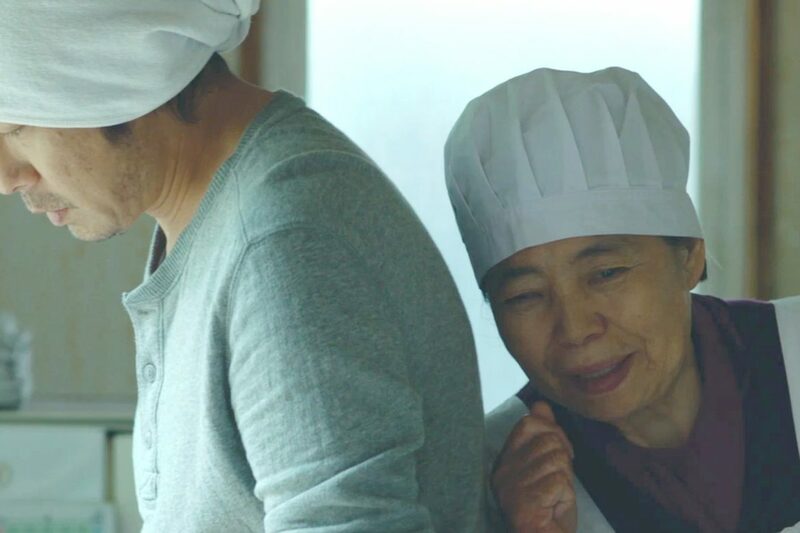 Directed and adapted by Japanese filmmaker Naomi Kawase, Sweet Bean tells the story of a pancake shop, its caretaker “Sentaro” (Masatoshi Nagase), and of the people who find refuge there. Tokue’s wise humor and gentle charismatic smile are delightfully comforting. The sounds and scents of the small town and the doriyaki shop are so soothing that I came to appreciate the doriyaki shop as sanctuary just as much as the characters did. Top Photo: Masatoshi Nagase as "Sentaro" and Kirin Kiki as "Tokue" in Sweet Bean.